The E-liquid Injectors are perfect for filling your e-cigarette with ease. 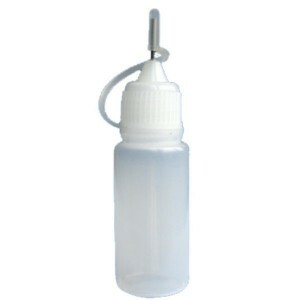 The applicator provides for a no-spill fill. The injector comes with a handy cap to keep the liquid enclosed when not in use. Users can mix their e-liquid in the injector to create an exciting new flavour. The E-liquid injector is a must have for all e-cigarette users. For beginners who are new to the world of electronic cigs, the many different technical terms can be overwhelming. While there may seem to be a lot of details about them and e-liquids, they are simple to grasp, especially for the existing smokers. These simple tips can help you to choose the best e-ciggy with little fuss for the maximum smoking experience. Before you start using them, decide whether it is a long term or short term activity for you. Deciding on whether it is a hobby or a long term plan will influence your final choices of e-liquids and e-cigarettes. The reason for deciding on the duration is that it will help you set the budget and give you a direction for what type to buy. Buying them without planning can waste the e-liquids if you are not intending to use them. If you have friends who are into them and tend to smoke with them, you can choose to use a tank style e-cig. With the tank style, users can share, recommend and create interesting new types of e-liquids to heighten their senses, maximizing their electronic smoking experience. 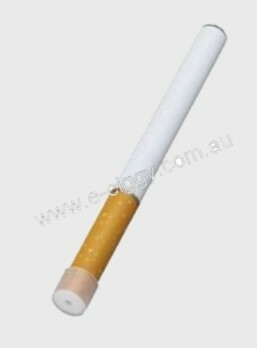 If you adore simplicity in your gadgets, you would probably appreciate the traditional cartridge-style e-ciggies. There is nothing mechanical about it, and it is simple to operate. Cartridges are designed with simple concepts like an on and off switch. For cartridge-style, the gadget will automatically turn on when you inhale and switch off when you stop inhaling. For those who like sophisticated gadgets to tinker with, the tank-style e-cigs will allow you to adjust the smoking experience according to exact specifications. There are generally two types of them to choose from. They are the disposable and refillable style for e-liquids. While disposables are easier to use, they have less battery life compared to ones that are refillable. There are also lesser varieties of flavours to choose from. Smokers normally use disposables in a social setting and they will switch to the refillable tank-style when they have more control over their smoking activities. Comment : Having an e-liquid injector will keep your e-cigarette full and ready to enjoy.